The purpose of this study is to examine the influence of contribution of shari’ah bank stakeholders on profit and loss sharing financing, in the case of Indonesia. Stakeholders contributions consisted of Investors, Depositors, Management, and shari’ah supervisory board. 9 Islamic commercial banks and 16 Islamic business units were selected using purposive sampling method. Data obtained from annual reports from 2011 to 2016. The results of the study with multiple regression models show that stakeholder contributions, such as mudharabah depositors and management have a positive influence on profit and loss sharing financing. Other stakeholder contributions proved to have no significant effect on profit and loss sharing financing. Ahmed, H. I., Akbar, S., & Barikzai, K. (2016). Objectives of Islamic Finance achieved by Islamic Banks. Al-Adwa, 45(31), 45–65. Alman, M. (2012). Shari’ah Supervisory Board Composition Effects On Islamic Banks ’ Risk-Taking Behavior Shari ’ ah Supervisory Board Composition Effects On Islamic Banks ’ Risk-Taking Behavior. Journal of Banking and Regulation, 82, no.1, 1–43. Al-shamali, F. A., Sharif, A., & Irani, Z. (2013). Islamic Banking Reinterpretation of The Stakeholder Theory. Arabian Journal of Business and Management Review, 3(2), 63–72. Ascarya. (2010). The Lack of Profit and Loss Sharing Financing in Indonesia’s Islamic Banks: Revisited. Review of Indonesia of Economic and Business Sudy, 1(1), 1–15. Ascarya, & Yumanita, D. (2005). Mencari solusi rendahnya pembiayaan bagi hasil di perbankan syariah indonesia. Buletin Ekonomi Moneter Dan Perbankan, juni, 7–43. Azmat, Saad, Skully, Michael and Brown, Kym, (2015), Can Islamic banking ever become Islamic?, Pacific-Basin Finance Journal, 34(C), 253-272. Berrospide, J. M., & Edge, R. M. (2010). The Effects of Bank Capital on Lending : What Do We Know , and What Does It Mean ? International Journal of Central Banking, 6(4), 1–50. Cooper, D. (2006). The Impact of Management’s Commitment on Employee Behavior : A Field Study. In 7th Professional Development Conference & Exhibition (Vol. 1, pp. 1–8). Donaldson, T., & Preston, L. E. E. E. (1995). Theory The Stakeholder Of The Concepts , Evidence , Corporation : And Implication. Academy of Management Review, 20(1), 65–91. Febianto, I. (2012). Adapting Risk Management for Profit and Loss Sharing Financing of Islamic Banks. Modern Economy. Handayati, P., Krisnawati, D., Soetjipto, B. E., Sudarmiatin, & Suharto. (2017). The shari’ahh Enterprise Theory: Implementation of Corporate Social Responsibility Disclosure for Islamic Banking in Indonesia and Malaysia. International Journal of Economic Research, 14(13), 195–206. Hanif, M., & Iqbal, Ab. M. (2010). Islamic Financing and Business Framework : A Survey. European Journal of Social Sciences, 15(4), 1–18. Javed, S. (2015). Impact of Top Management Commitment on Quality Management. International Journal of Scientific and Research Publication, 5(8), 1–5. Jaurino, & Wulandari, R. (2017). The Effect of Mudharabah and Musyarakah on The Profitability of Islamic Banks. In 3rd Parahyangan International Accounting & Business Conference (pp. 69–84). Bandung. Jensen, M. C., & Meckling, W. H. (1976). Theory of The Firm: Managerial Behavior, Agency Cost and Ownership Structure. Journal of Financial Economics, 3, 305–360. John, A. O. (2014). Effect of Deposit Volume on Banks ’ Lending Behaviour in the Nigerian Post-Consolidation Era. International Journal of Innovation and Scientific Research, 4(1), 21–25. Kalbarini, R. Y., & Suprayogi, N. (2014). Implementasi Akuntabilitas dalam Konsep Metafora Amanah di Lembaga Bisnis Syariah. JESTT, 1(7), 506–517. Karmakar, S., & Mok, J. (2013). Bank Capital And Lending : An Analysis Of Commercial Banks In The United States. Portugal. Khan, S. R. (1983). 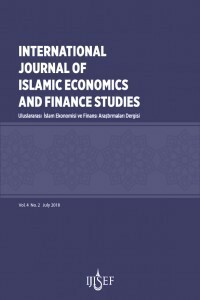 Profit and Loss Sharing: An Economic Analysis Of An Islamic Financial System. The University of Michigan. Kholid, M.N and Bachtiar, A. (2015). Good Corporate Governance dan Kinerja Maqasid Syariah. Jurnal Akuntansi & Auditing Indonesia, 19(2). pp.126-136. Novarela, D., & Sari, I. M. (2015). Pelaporan Corporate Social Responsibility Perbankan Syariah dalam Perspektif Syariah Enterprise Theory. Jurnal Akuntansi Dan Keuangan Islam, 2(2), 145–160. Othman, A. N., & Masih, M. (2015). Do profit and loss sharing (PLS) deposits also affect PLS financing? Evidence from Malaysia based on DOLS, FMOLS and system GMM techniques. Kuala Lumpur. Rosly, S. A. (2005). Islamic Banking : Doing Things Right and Doing Right Things. Malaysian Journal of Economic Studies, 42(1/2), 31–40.Rozin, M. (2016). Karakteristik Hukum Islam dalam Perubahan Sosial. Istinbath Jurnal Hukum, 13(2), 301–328. Saad, N. M., & Razak, D. A. (2013). Towards An Application of Musharakah Mutanaqisah Principle In Islamic Microfinance, 14(2), 221–234. Siringoringo, R. (2012). Karakteristik dan Fungsi Intermediasi Perbankan di Indonesia. Buletin Ekonomi Moneter Dan Perbankan, 61–84. Triyuwono, Iwan. 2007. Perspektif, Metodologi dan Teori Akuntansi Syariah. Jakarta: PT. Rajagrafindo Persada.